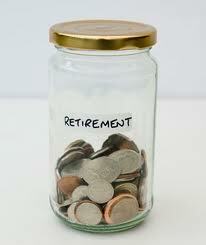 Retirement account investments are an important part of an investment portfolio. Diversifying investments into both high risk and low risk markets take a steady amount of financial contributions. You are allowed under IRS rules to own more than one form of a retirement account. There are limitations for contributions that are important to know before you maximize contributions for each taxable year. There are no current restrictions or legislation enacted by congress to prevent you from investing in both a 401(k) and IRA each year. There are contribution limits that are set under federal law that you must abide by if you want to avoid penalties or possible account cancellation. Participation in a 401(k) account is allowable if you are offered this account by your employer. Your contributions are deducted from your paycheck and may or may not be matched by your employer. 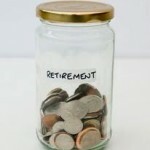 A 401(k) is one of the most popular types of employer offered retirement accounts. The contribution limits between 401(k) accounts, a Roth IRA or traditional IRA are very different. Retirement account holders that have money placed into one of each of these accounts have different options for reducing tax liabilities and growing their wealth. Every investment decision must be considered with all of the facts and compared to your long-term goals. A rollover from a 401(k) account will provide additional growth, but will require the income to be reported on your income tax return and a form 1099-R. All taxable contributions that are rolled over can be levied with a 20 percent withholding tax. All decisions to grow wealth by rolling over funds into different accounts takes time and understanding of any penalties or taxes that are applicable.